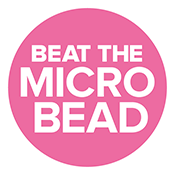 The Beat the Microbead (BTMB) campaign took this opportunity to provide ECHA with the years’ worth of campaigning and data accumulated via BTMB app. We summarised the data that we collected together with our partners under the RED product lists from different European countries in order to showcase the frequency and number of products that contain microplastic ingredients. The total number of European countries in our database is 12. Altogether, the RED lists of these 12 countries hold 1.327 products as per 10th April 2018. Out of these 1.327 products almost half contained polyethylene (PE) (610 products). In the Netherlands, out of 226 entries under RED list, 90 products contained PE. Other than PE, Polystyrene/acrylates copolymer, Polyacrylate, Polyethylene-Glycol and Nylon were the most common microplastics found under the Dutch product list. Along with these lists, we provided the scientific evidence of the presence of these microplastics in cosmetic and personal care products. Plastic Soup Foundation collaborated with the Free University of Amsterdam to test some products to see if and how these tiny plastic particles may look like. Out of 10 successful sampling, 6 products tested positive for microplastic ingredients. You can read the full report here! To consider a ban on not only rinse-off products but also other kinds of cosmetics with microplastic ingredients. To reconsider the current exemption of polymers from registration and evaluation under REACH. And to issue and enforce a new EU regulation to ban all polymer ingredients that are persistent, bio-accumulative and/or toxic in ecosystems. This position paper was supported by 20 European NGOs. The European Commission’s consideration of a restriction on intentionally added microplastics is a crucial first step but we want to stress that all microplastic ingredients should be under examination; regardless of the external dimension, water solubility, lower size limit of the substances and their function in leave-on and rinse-off products. The Plastic Soup Foundation demands the general exemption of all polymers under REACH to be lifted. This means that all polymers should be registered as chemical substances so that they can be evaluated. If these polymers are shown to pose a potential risk to the environment or human health, they should be restricted. You can read our full submission here!